There is nothing more exciting than getting your hands on a BigMouth Inc Inflatable. But we know how much of a buzzkill it can be to crack open the box, smell that fresh durable vinyl, and then realize that you’re going to have to sit there for another hour huffing and puffing trying to inflate it. 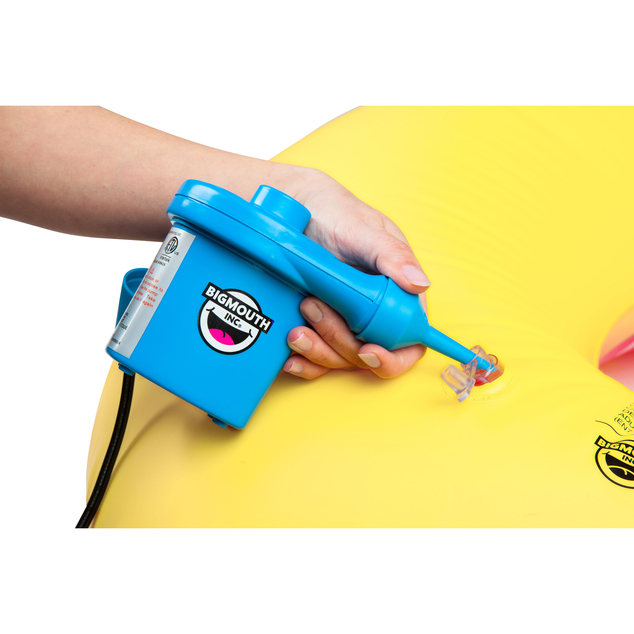 The BigMouth Inc Air Pump is here to save the day, and save your breath. 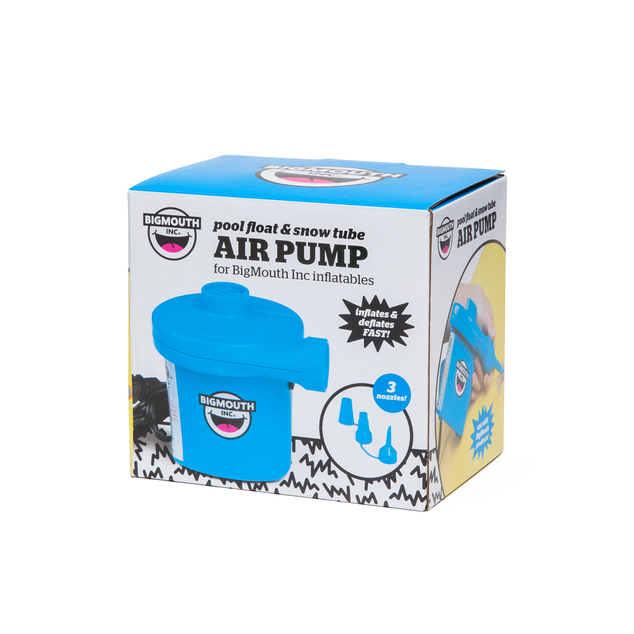 This compact air pump is the perfect size to fit in your suitcase and can inflate any BigMouth Inc Pool Float or Snow Tube with ease. Once it’s time to store the fun for next season, simply switch over the nozzle and deflate.